Eminence was named one of the top 50 sports towns in the country! The crystal clear Jack’s Fork River flows through the middle of town and, along with the nearby Current River, attracts thousands of floaters and campers each year. Both rivers have beautiful, scenic views, an abundance of fish, and numerous opportunities to see many different types of wildlife. You might even catch a glimpse of our famous wild horses. “Eminence is one of the Ozarks’ treasures,” according to Today’s Woman Magazine. The July 2002 issue of the magazine includes an extensive article about Eminence and describes the town as the following: Eminence is a haven for canoeing, trail riding, hunting, fishing and camping. 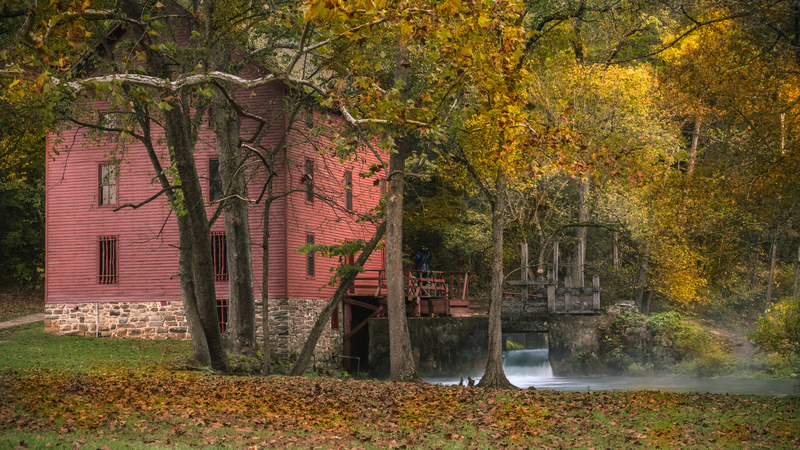 This area is home to the Jack’s Fork river which winds through Eminence, feeding into the Current River and surrounded by abundant caves, springs and waterfalls. 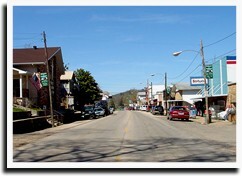 There are quaint shops downtown and a diverse array of restaurants as well as numerous choices for lodging or camping. Other activities include a 9-hole golf course, rental horses for a trail ride, walking trails, and of course the many picturesque springs that are available to visit. 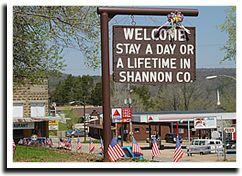 Come visit our small town where the hills and rivers meet. Our motto here is “stay a day or a lifetime,” … we’ll let you make the choice! Check us out on Facebook, Twitter, YouTube and more. It's a great way to stay up to date with the latest news and easily share with friends and family.